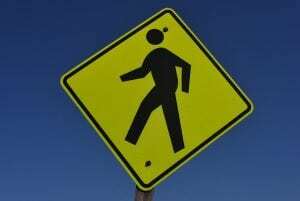 Holbrook, NY (April 16, 2019) – A fatal pedestrian accident was reported to have taken place along Veterans Memorial Highway on Monday night, April 15th. According to police, an unidentified 37-year-old man was struck and killed by a vehicle at around 9:00 p.m. for reasons that actively being investigated. Dispatchers were stated to have sent police and paramedics to the scene after receiving a call concerning the accident. The victim was attempting to cross Veterans Memorial Highway, in the vicinity of Broadway Avenue, when he was hit by a vehicle identified only as a truck. The driver of the truck remained at the scene and no charges are believed to have been filed at this time. Emergency medical crews who responded to the scene transported the victim to Long Island Community Hospital, where he was tragically pronounced dead a short time later. The cause of this incident is currently under investigation as no further details have been provided. New York pedestrian accidents often prove to be fatal since there is zero protection between the vehicle and the victim at the time of impact. Before moving on, we would, first and foremost, like to off our deepest thoughts and prayers to the loved ones of the victim during this tragic and devastating time. We understand that it can be extremely difficult for the bereaved family to focus on anything other than their emotional recovery at this time. However, it is also important to realize that you may have significant rights regarding compensation for your loss. At Hach & Rose, we are here for you 24/7 as we have made it our mission to hold negligent and blatantly criminal parties liable for the devastation that they inflict. If you have lost a loved one in a New York pedestrian accident, please do not hesitate to call 212-779-0057 today.